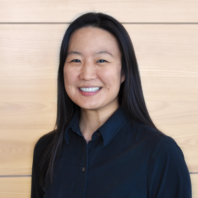 Anne Kim is currently a clinical assistant professor at the WSU College of Pharmacy Yakima extension located on the PNWU campus. Kim is a member of the American Society of Consultant Pharmacists and the American Association of Colleges of Pharmacy. She is also chair of the faculty development subcommittee of the Yakima Valley Interprofessional Practice and Education Collaborative (YVIPEC). Bindler RJ, Kim AP, Levien TL, Baker DE. Utilizing an electronic drug information request database to reduce the time to response [poster]. The 50th ASHP Midyear Clinical Meeting and Exhibition; December 6-10, 2015; New Orleans, LA. Presented December 8, 2015. Kim AP, Bindler RJ. Microsoft Access® Increases Productivity and Teaching Opportunities in the Pharmacy Practice of Drug Information [presentation]. TECH-Ed Conference 2015; October 1-2, 2015; Pullman, WA. Presented October 2, 2015. Kim AP, Bindler RJ, Baker DE. Microsoft Access® as a Tool to Increase Productivity and Teaching Opportunities in the Pharmacy Practice of Drug Information [poster]. 2015 Northwest Pharmacy Conference; May 28-31, 2015; Coeur d’Alene, ID. Presented May 29, 2015. Neumiller JJ, Kim AP. U.S. biosimilar update: impact of biosimilar approval for managed care, hospital and specialty pharmacy. Power-Pak CE Online. Posted October 14, 2016. Cada DJ, Kim AP, Baker DE. Daclizumab. Hosp Pharm. 2016;51(11):928-939. Bertsch NS, Bindler RJ, Wilson PL, Kim AP, Ward B. Medication therapy management for patients receiving oral chemotherapy agents at a community oncology center: a pilot study. Hosp Pharm. 2016;51(9):721-729. Cada DJ, Kim AP, Baker DE. Elbasvir/Grazoprevir. Hosp Pharm. 2016;51(8):665-686. Kim AP, Bindler RJ. The future of biosimilar insulins. Diabetes Spectrum. 2016;29(3):161-166. Kim AP. Biosimilars – what’s in a name? Hosp Pharm. 2015;50(10):847-848. Kim AP. Continued use of benzodiazepines in older adults. Hosp Pharm. 2015;50(7):557-558. Danielson J, Kim A, Weber SS. An interprofessional education (IPE) fingerprint for APPEs: developing metrics for collaborative interactions [abstract]. AJPE. 2014;78(5):Article 111. Danielson J, Kim A, Bansal A, Weber S. An interprofessional education fingerprint for APPEs: developing metrics for collaborative interactions. AACP Experiential Education Section Newsletter. 2014;2(1):1-2.